Breakfast. Early morning transfer to the airport to take your flight to Flores. Upon arrival you will met and transferred to the village of Sayaxché on La Pasión River banks. Continue by boat to the archaeological site of Ceibal. Visit. Continue to the Petexbatún lagoon. Dinner and Overnight. (B,D) At Chimino’s Island Lodge you can combine your ecological and archaeological interests with the opportunity to relax in beautiful and peaceful surroundings. On-Site activities include fishing, swimming, canoeing and bird-watching. 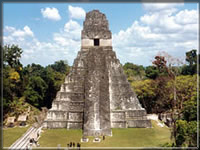 You can also hit the hiking trails that take you into the jungle and to the Mayan Citadel. It’s almost like being the discoverer of this Mayan site! 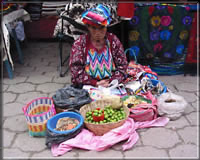 Different tours to nearby Mayan Sites are also available and recommended.